The second steering committee meeting of the Erasmus+ CBHE project “Boosting Innovation in Curricula Development of IT Programs in Palestine (BITPAL), took place on 24 of May 2017 in Cosenza, Italy. The Italian partner, University of Calabria (UNICAL) hosted this event. This event was attended by the representatives from most partner institutions. 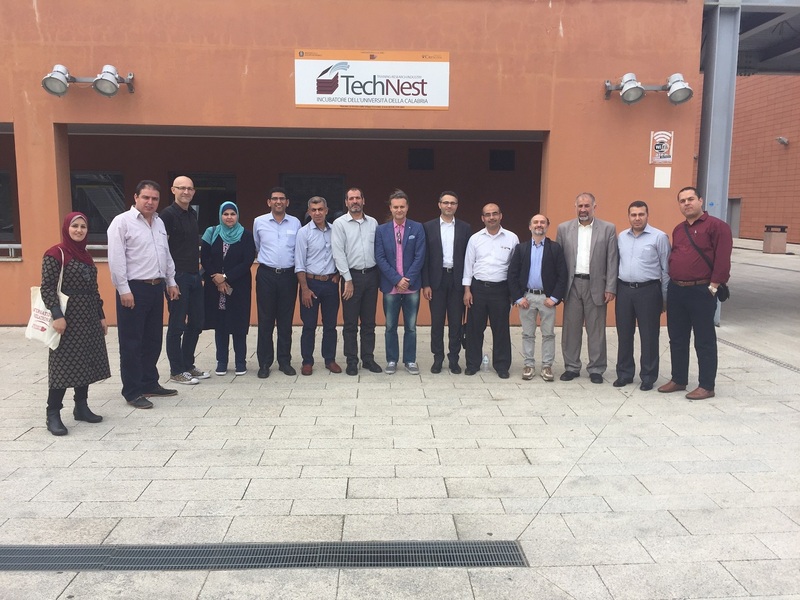 The coordinator University College of Applied Sciences (UCAS), Al-Azhar University (AUG), Al-Aqsa University (AQU), Gaza University (GU), University of Calabria (UNICAL) and Faculty of Information Studies (FIS) attended the event in Italy. However, the Islamic University Of Gaza (IUG) and Palestinian Information Technology Association of Companies (PITA) couldn’t get the permission to travel. Thus, they participated via Skype meeting, and Leipzig University of Applied Sciences (HTWK) couldn’t attend the meeting. Dr. Hani Qusa, BITPAL coordinator pointed out some important points regarding Conflict resolution committee, Quality management plan, financial situation, Dissemination and exploitation plan, Curricula development progress, and the Next steering committee meeting date. Steering Committee made some important decision in order to ensure the quality of the project results. Furthermore, the attendees agreed about the delay in the project implementation that was caused by the late signature of the grant agreement. The attendees agreed to compensate for the delayed period in a way that preserves the quality of the outputs and the results of the project. Thus, a set of committees were created in order to speed up the process of implementation and to assure the quality of the project’s results in the same time. At the end, Dr. Hani Qusa thanked all the attendees for the great efforts to make the project success.